I’ve had a craving for cake lately. 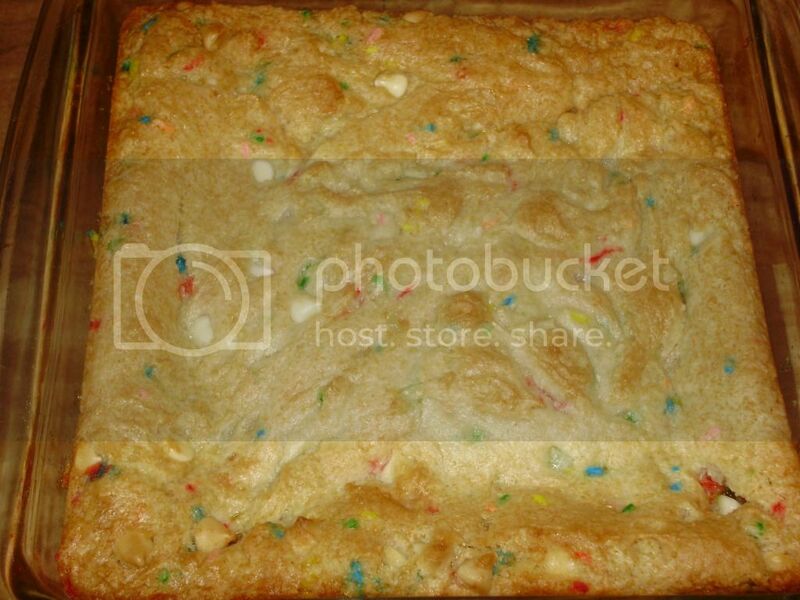 I decided to make these blondies because they’re much easier than to make ,and are more portable. 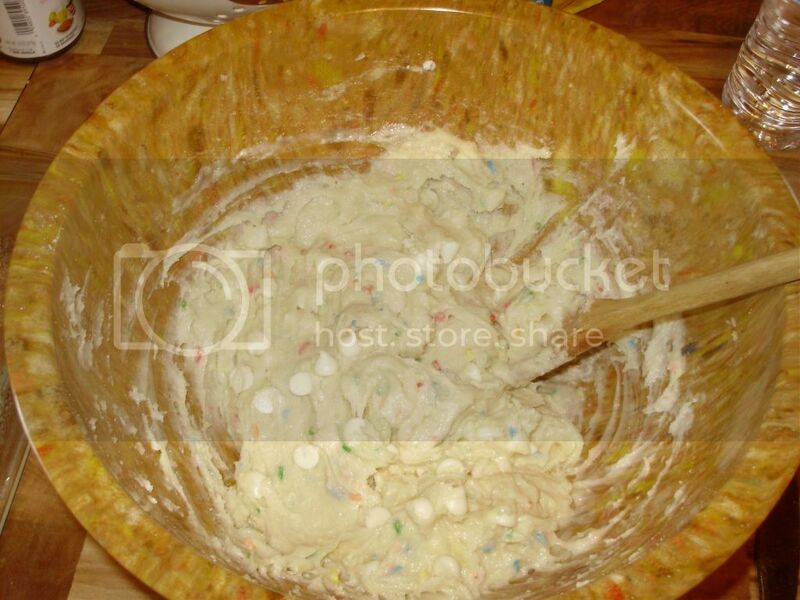 Mix the cake mix,oil, milk and egg together. Then add the chocolate chips. 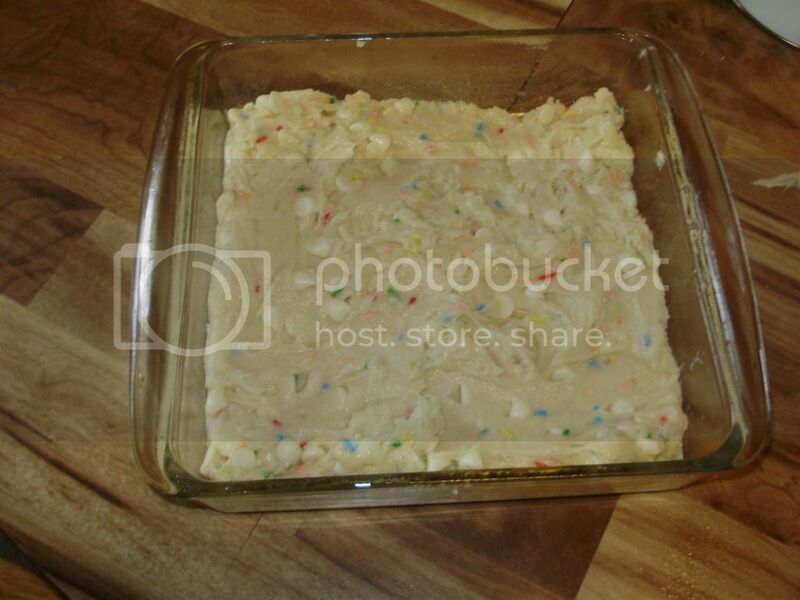 Spray 9x9 pan with non stick cooking spray and spread batter evenly. Bake for 25-30 minutes in a 350 degree oven. They're done when a toothpick 2 inches from the ends comes out clean. If they are gooey in the middle, don't worry they'll harden as they cool! 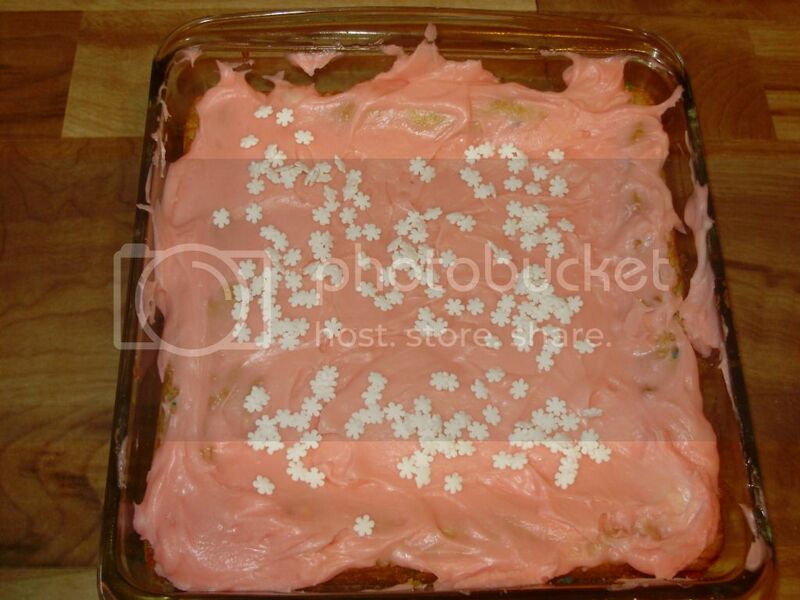 When cool, combine all the frosting ingredients, frost, and top with sprinkles if desired! They turned out great! Very moist and chewy and full of that oh so yummy cake flavor! « Previous PostMy Favorite Beauty Products April Edition! Yummy, I am very hungry now this looks so good! Thank you for sharing the recipe. My boys would really like that !! Looks fantastic! yummy! I love Blondies! I#39;ve never made them though. I will definitely have to try your recipe! Sounds yummy and easy! I think my Mother in Law would love these! Maybe a great Mother#39;s day idea! Thank you. Why are there so many new and yummy recipes going around? Another YUM one! These look so incredibly yummy. Definitely going to have to try this recipe. These look really good. I’ve always made blondies using a brownie recipe. YUM. This sounds delicious and not too hard to make! Oh that sounds so delicious. 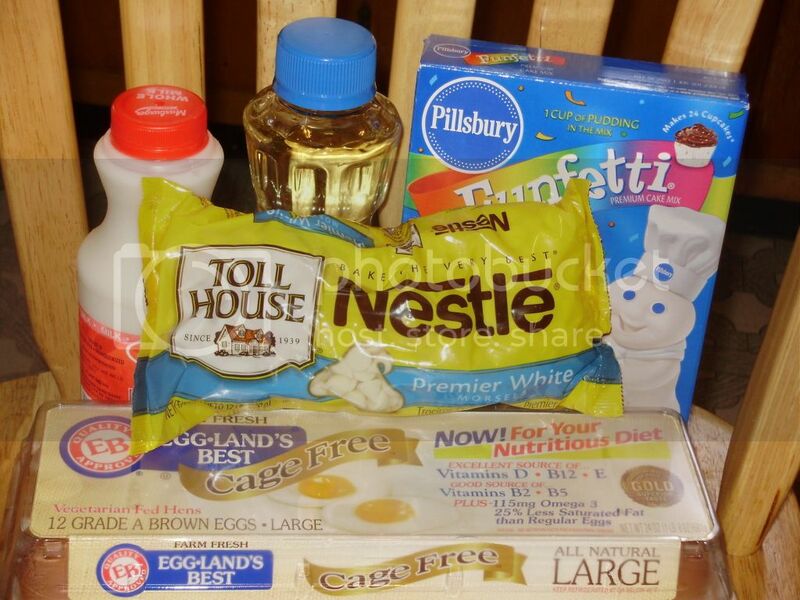 I’m going to have to bake tomorrow! 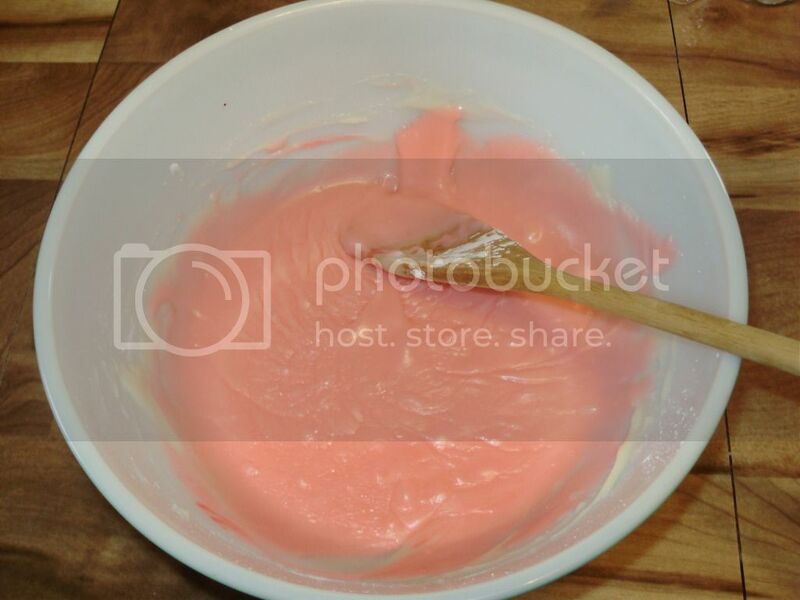 I love the color you pink you made the frosting – looks yummy! Looks delicous! My grandson would love the sprinkles! Oh yum! I’d like these for breakfast right now please!